Are you interested in bringing a classic, elegant look to your home or garden? Establishing a paver patio or walkway can forge a path for you to explore and enjoy your garden and outdoor space with ease. Kable Landscaping has over two decades of experience providing Mid-Michigan residents with innovative and beautiful landscape features using pavers to create intricate walkways and patios or to accentuate key landscape features. There are numerous benefits to utilizing pavers in your landscape design. There are also a host of colors and shapes to choose from, so if you have a vision for a design, we can likely make it a reality. Laying out a stunning, unique look for your walkway or patio doesn’t have to be a chore. With so many options for style, design, and materials available at your disposal, finding the right look is as easy as peering into your imagination. 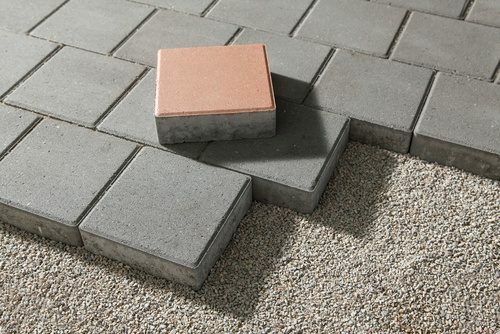 Because of their natural strength, construction, and dynamics, paver pathways and patios are reliable structures that will stand the test of time. Pavers are not only gorgeous and structurally sound, they are also an incredibly safe option after installation is completed. They’re resilient against all sorts of inclement weather, repairs are simple, and they’re highly slip resistant. Once pavers are constructed, they’re a breeze to take care of. Because the structures are made of smooth, durable concrete, a little light sweeping or spray with the hose is all that’s necessary for maintenance. Call Kable Landscaping today at (989) 695-5222 to talk to us about any walkway or patio project you may have in mind for your home or business. We look forward to hearing from you!